The trainee program will last for four years. 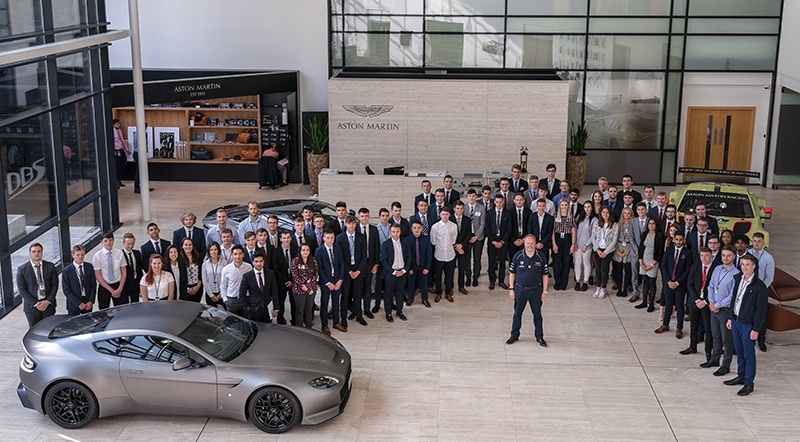 Aston Martin has inducted 50 trainees and 26 graduates last week at Aston Martin’s Global Headquarters at Gaydon in Warwickshire. This is the biggest ever intake by the British automaker, which signals at its strong growth and future plans to bring more luxury cars for its diverse customers. After introducing its revolutionary Second Century Plan in 2015, the automaker started making good progress. Last year, it made record profits and is now working to develop new models, which they will sell together with sports cars like the DB11, the Vantage, and the newly unveiled DBS Superleggera. The trainee program will last for four years and aims at young minds passionate for the luxury brand. Getting an apprenticeship at Aston Martin is by no means an ordinary picking. The starters will learn from the best engineers and technicians in the world, which will enable them to grow in their careers. The automaker also offers a superb Graduate Program providing Engineering and Business jobs to graduates who can get related professional qualification while working. Those who love to be considered for the 2019 intake of Apprentices have to wait until December 2018. Get more info about it at Aston Martin career portal.